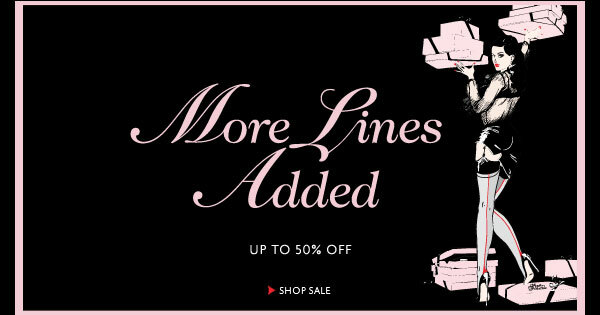 Bergdorf Goodman sale starts, beauty event! Their first round was underwhelming, so let's hope they bulked it up a lot! Shop now til 4AM on Bloomingdales.com and get a discount. Use code "NEWYEAR" to get 15% off $100+, 20% off $150+, or 25% off $200+. Stack up the sales! HerRoom.com is doing a big clearance to get rid of old merchandise. Highlights include 41 different Hanky Panky styles: undies between $12.99-14.99, discounts on last season colors, and bralettes and a nice assortment of Simone Perele. While my dear husby has been spending his Xmas vacation playing video games, I have been diligently cleaning house. First, I cleaned out the bottom shelf of our coffee table and organized the millions of cables and Wii-related devices. Then, I tackled our two walls of floor-to-ceiling built-in bookshelves. I don't know why anyone would have done this back in the day. No matter how organized it is, it still looks cluttered and messy! Right now I'm diligently finishing my shoe wall with my favorite shoe boxes from The Container Store. I've been dreading what comes next: my walk-in closet which has basically become the storage room from hell. I know, it MUST be done, it's simply bursting at the seams, and I know there is tons that I no longer wear at all. I've hung on to old college 'just-in-case' sweatshirts for too long. It's time to face the reality: I live in a New York apartment with a boiling hot heating system (seriously, I am sitting here in a tank and shorts as I type this), and I will not be raking the lawn anytime soon. And those old ski clothes? I think it's time to part with the 90's-style ski bib overalls. 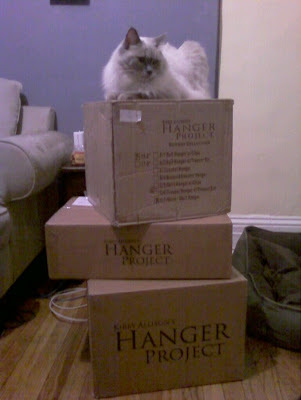 As added incentive, I ordered some beautiful super-fancy wooden Runway Collection hangers from Kirby Allison's Hanger Project. I placed this order a while ago, but the timing could not be more perfect. I now have the next four days to plow through this monumental chore. Meekus (as you can see below) will likely not be helping much. Wish me luck! - Old clothes can go to the Salvation Army, Goodwill, HousingWorks, or maybe your local church. Visit the NYC Stuff Exchange website for a very thorough list of drop-off locations near you. - Old bedding and towels (even torn or stained) can be donated to Animal Shelters. I am a huge supporter of the ASPCA, so if you don't think humans want your dingy towels, some adorable puppies will be more than happy to take them! - Broken electronics should be disposed of specially. Usually I just collect a pile until I get a postcard for that e-waste recycling fair in Union Square, and luckily the next one is Sunday, Jan 2. Usable electronics can also be donated with clothing. Last chance to take an additional 20% off ShopBop.com's sale stuff. Use code "20MORE". Ends tonight, Thursday, Dec 30. In the mood for a new watch? Check out Ashford.com's year-end-clearance. 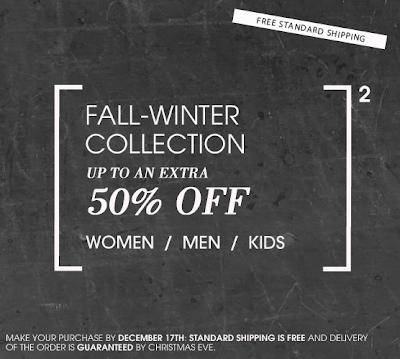 BG and Neimans have also kicked off their online sales! If you need some Lanvin fox earmuffs but didn't want to pay the full retail of $1,255, you are so in luck. 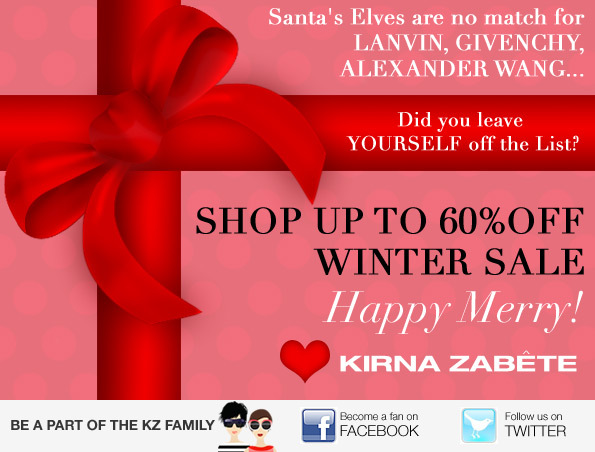 Kirna Zabete has them for $627.50! 2 days only, until Monday, Dec 27. New sale items 30-50% off. Really, why wait til tomorrow? UK boutique Browns has a selection of goodies at 50% off. I thought I'd share my find with anyone who happens to live or be visiting Las Vegas anytime soon: the James Perse store in the Caesar Forum has a huge collection of tees, lounge shorts, and other odds and ends at 'outlet' prices. Basically a woman's tee which was $50 or so is marked to $30. AND they are currently doing +30% off the outlet price, so I just got 2 tops for $21 each. FAB deal!!! I would have bought way more, but I actually own most of those colors already (hehe) and they are limited in size 2. Piperlime has some sale goodies up to 40% off! If you're in town this week, here's something to sneak out of your super dead office for. Slane is having a womens jewelry sample sale. They'll have actual samples and stock items in sterling silver and 18k and freshwater oval pearls. Prices are 50% off retail. Sample price points: silver collection rings $60 (originally $120). 18k yellow gold cuff bracelets and bangles $2,700 (from $5,400). Freshwater oval pearl necklaces $165 (originally $330). I'm too conservative to buy this for myself, but I wouldn't mind getting it for free! Register to win. New items and bigger discounts! P.S. New items include Louboutins! TheOutnet.com is doing +40% off a selection of cute essentials. Not fashion, but if you need a gift for someone work-related, you can't go wrong with some high-class tea. I bought a couple of Spa Tea books for the people who wrote recommendations for my MBA apps, and they loved them! P.S. Prices are as marked, but if you sign up for their e-newsletter, you'll get a code for an additional 15% off. AND you can probably try using "WELCOME" for free standard shipping. P.P.S. My spa tea books came in good condition, but the tea inside was all jumbled. If you are going to gift it, make sure you open it up and rearrange all the tea packets inside! If you can even think of wearing a dress in this chilly weather, you're going to love what's on sale. Tons and tons of fall and spring dresses, tops, and everything else under the moon at Mango's online (and in-store) sale. Prices are pretty fab at mostly 50% off. US only. 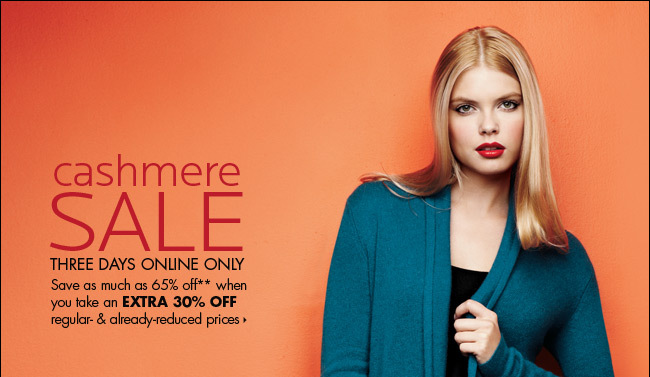 Until Saturday, Dec 18, NM is discounting their cashmere collection by an additional 30%. Perfect timing, as I definitely need some new sweaters! ... is an additional 30% off starting today! Sorry, I was in an all-day meeting today, so I didn't get this up. Use code "EXTRA20" to get an extra 20% off the 50-70% off sale merchandise! Ends Thursday, Dec 16. Just in the nick of time for Xmas shopping! YOOX has reduced prices up to 50%. Free shipping as well. Inhabit has a nice selection of goodies at up to 80% off. I LOVE their cashmere-- perfect presents! All sales are final, so pick carefully. Sale ends tomorrow, Dec 13. Not sure if I've mentioned this in an earlier post, but YOOX.com is doing free shipping through Wednesday, Dec 22. No code necessary. 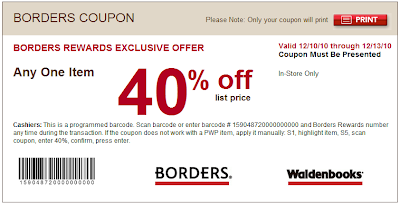 Not fashion-y, but here's a nice coupon from Borders. It's in-store only for 40% off one item through Monday, Dec 13. You'll need a Borders Rewards card though (it's free). This weekend TheOutnet.com is doing +50% on some very nice basics. Worth having a look! BareNecessities.com is doing 25% off during their F&F event. Off almost everything. Use code "FRIEND" through Tuesday, Dec 14. What counts: Hanky Panky and Hanro and La Perla and Simone Perele. What doesn't: UGG® Australia, Wolford, and SPANX. IntermixOnline.com is taking an additional 40% off their sale merch (all sales are final). Please someone buy the beautiful grey Brian Atwood slingbacks ($299) in 36.5 so I will not be tempted!!! Oh and shipping is free. If you're feeling like some Isaac Mizrahi today, pop into his boutique on 23 E 67th St between now and 6PM. 20% of proceeds will be donated to the ASPCA. Visit the ASPCA's facebook page for more info. Today I was met with a Firefox warning that my own blog had become an attack site! That is pretty ridiculous. Turns out one of my 'fav site' links (Globerati) has become compromised, and by linking to it, somehow I become categorized as an attack site myself. Please trust me when I say I do not launch any malicious software or track you in any way!!! This is just a blog, and I just post content, pictures, and links to shopping. So, I hope you will continue to read and benefit from my sales postings. P.S. Spain was great. Apparently my birthday (Dec 6) is a national holiday there, Constitution Day. Woo hoo! Enza Costa Rogue is having a one-day sample sale. Prices are phenomenal, $10-23, and cashmere is only $46. The catch? It's cash-only. Hampton's boutique Calypso St. Barth is having a big sample sale of women's clothing, accessories, and home decor up to 80% off. Cash or CC only. All sales final. No returns. No exchanges. No strollers please. I am not familiar with the label Paige Novick, so I'm just going to focus on Beirn. I've always liked Beirn bags, and this may just be what adds one to my bag collection. The sale will have a variety of bags and accessories priced $50-200 (retail $125-600). Stephen Dweck is having its holiday sample sale next week, and prices will be between 50-80% off. They'll have a wide selection of bracelets, earrings, rings, and necklaces, from classic to funky styles. They'll also have 'special limited pieces', whatever that may mean. Listed on Top Button, this has the potential to be pretty shady, but also has the potential to be pretty awesome. So I'm just going to throw out the disclaimer that I don't know how legit this sale is, but it sounds too good not to post. It's in Soho, so if you're in the neighborhood, it might be worth popping by. If you do, let me know how it is! "Designer shoe sale for women and men. At this sale you will find a great selection from Zanotti, Casadei, Balmain, Valentino, Ferragamo, Tory Buch and more. Merchandise is marked up to 85% off retail." I'm a big fan of Made Her Think jewelry, so hopefully this will be a good one. Alexander Wang's sample sale is next week. We'll see AW 2010 merch, T by Alexander Wang, and bags and shoes for men and for women. Prices will be up to 80% off. Oversized wool coats will be $300 (orig $1,100), jersey and silk dresses will be $160 (orig $895), knitwear will be $150 (orig $895), and women's T tops will be $45 (orig $118). It kicked off today a bit earlier than scheduled. Giving the people what they want, I suppose! The sale is at Clothingline, but I don't know much about the discounts. Cash or CC. Coat check required. No little kids (see their great note below). "No Children under the age of 12 will be permitted to enter the sale. Due to the large crowds we are expecting, we do not believe this is the proper environment for children." Sorry for the sparse posts these past few days, I've been swamped with studying, writing, and working. MBA apps are done, work is ok to simmer, and I am off to Barcelona for the next 6 days! Enjoy the Brian Atwood sample sale without me!! BG has started their designer sale, and their Beauty Event has started! Spend $100 and get an immediate $10 off-- not as good as their $25 in years past, though. Sadface.